Although we prefer it to be common sense, enough folks try to enter restaurants and other businesses without proper coverage that the “No Shirt, No Shoes, No Service” signs are a common sight on the doors of modern retail establishments. But what if “No Credit” were to join the list of things that can get you barred from a business? In a day and age where everyone from your lender to your landlord is checking your credit reports, it’s not as hard of a stretch as you might think. Thankfully, building credit is easier than ever, with dozens of solid starter credit cards on the market to help you get established. Many of the best cards for applicants with no or limited credit will even offer rewards, and many come without any annual fees. While our favorite cards for no credit cover a range of needs, they’re hardly the only options available. See our expanded list of top cards for building your credit history. As with many other things in today’s world, credit cards have become a somewhat niche product, with the extensive options allowing consumers to select just the right card for their individual needs. The downside to that ability for selectivity is that it’s hard to select any one — or three — cards that stand out as the best of the best for every consumer. Our top overall cards for no/limited credit do share some similar features, however, including very flexible credit requirements. This card does exactly what it is designed to do, which is to help cardholders establish and build credit. It has no rewards or fancy features, but nor does it have an annual fee or down payment requirement. This is nearly ideal for consumers with no or limited credit, as it combines cash back rewards with flexible credit requirements and no annual fee. The only real downside is that this is a secured card, so a deposit is required to open the account. If you’re looking to start building your credit and you want to earn rewards — but you don’t want to make a deposit — this card is a good option. The annual fee isn’t ideal for keeping the card over the long term, but you may be able to upgrade to the fee-free Capital One® Quicksilver® Cash Rewards Credit Card when your credit improves. Although plenty of issuers have credit cards intended to help consumers establish and build credit, most of those options require a little quid pro quo — in the form of a security deposit. Happily, not every issuer requires you to provide collateral for credit. These cards are solid start options for applicants with no or limited credit that won’t require a deposit to open or maintain. While not having to make a deposit helps this card’s appeal, perhaps the best thing about it is the lack of an annual fee. Using a card with no annual fee to establish your credit means your first card can stay open indefinitely, helping improve your credit history length and average account age. This card may be the best pick if you have your heart set on starting your credit journey with cash back rewards, offering an unlimited 1.5% cash back on every purchase. Of course, you’ll want to crunch the numbers to be sure you’ll earn enough in rewards to make the annual fee worthwhile. If you’re a college student looking to establish credit, then this is a great option. You’ll not only earn competitive cash back rewards, but you’ll also pay no annual fee. Plus, cardholders have the ability to earn Good Grade Rewards — an annual $20 statement credit — for maintaining at least a 3.0 GPA. Without a credit history, credit card issuers don’t have a way to tell if you’re likely to pay your bills. Secured credit cards take away that worry by putting your money where their credit is, giving issuers a way to recoup their losses should you be unable to repay your balance. Unlike the high fees charged by many subprime credit cards, the security deposit for a secured card is completely refundable, so long as your account remains in good standing. Some secured cards even offer automatic upgrades to an unsecured product once your credit grows. This card ticks all of the boxes for a good secured credit card, including offering purchase rewards and charging no annual fee. It has a fair $200 minimum deposit, and your credit line will be equal to 100% of your deposit. 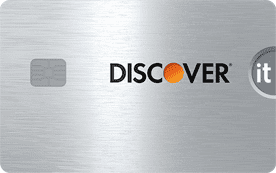 Discover will also periodically review your account to see if you qualify for an automatic upgrade to an unsecured card. A bit unusual for a secured credit card, the minimum required deposit for this card will vary based on your credit profile; the minimum starting credit line for any approved applicant is $200. Making the first five monthly payments on time can lead to a larger credit limit without an additional deposit. If you’re at all worried about not being approved for a secured credit card, this option may be for you. This card has no credit requirements and doesn’t require a credit check to apply. You’ll need to make a $200 minimum deposit to open and maintain the account, and your credit line will be equal to your deposit. One of the most common misconceptions about building credit is that it has to be expensive. Sure, plenty of credit cards have high annual fees — especially top-tier rewards cards and pricey subprime cards — but you don’t have to fork over a high fee to build credit. Plenty of credit cards on the market today can be had without an annual fee, even if you’re just starting out. Those consumers willing to put down a deposit may even find a no-fee card that offers purchase rewards, to boot. This card is a bit of a rarity among cards from major banks, as the typical unsecured credit card intended for consumers with no or limited credit will either be restricted to students or will come with a big annual fee. You won’t earn rewards, but nor will you need to make a deposit or pay an annual fee. 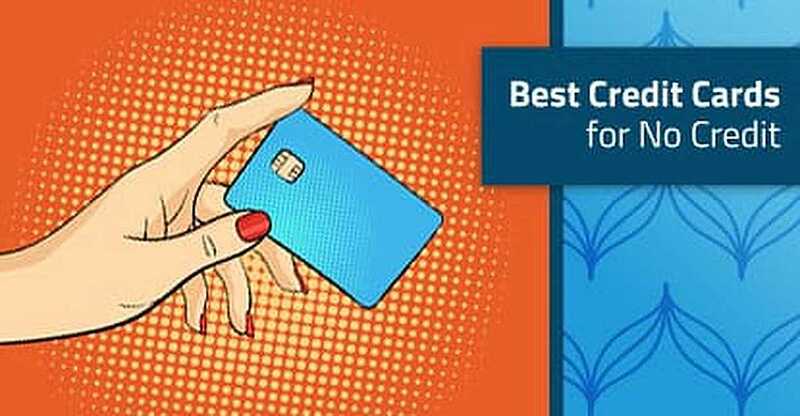 If you want an annual-fee-free credit card that earns rewards, and you have no or limited credit history, then a secured credit card is often your best bet. You’ll get unlimited cash back on every purchase, plus 2% cash back on up to $1,000 in gas and restaurant purchases each quarter. Consumers who are worried about being approved for unsecured credit cards without an annual fee can try this option. 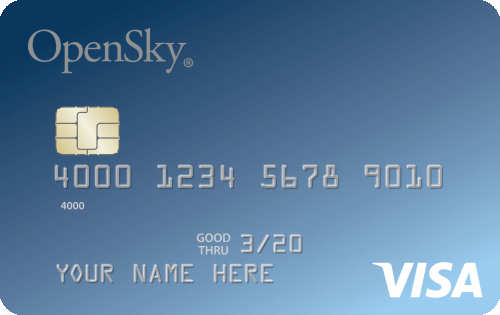 Users can’t earn purchase rewards with this card, but they may qualify for an upgrade to an unsecured card with responsible card use. Although your local credit union may offer more options, if you want to earn rewards from a big-bank starter card, be prepared to pay for it, either through annual fees or a security deposit. Don’t let purchase rewards tempt you from the path of responsible credit card use, however. Never charge more than you can pay off simply to earn credit card rewards; interest fees will almost always cost more than you can earn in rewards. This card is a good pick for consumers whose spending falls into many categories, as it provides the same unlimited 1.5% cash back rewards on every purchase, with no bonus categories to track or activate. You’ll need to spend at least $2,600 a year on your card to break even on the annual fee, however. This card not only comes with unlimited 1% cash back rewards on your net credit card purchases, but you’ll also double the cash back on up to $1,000 in restaurant and gas station purchases each quarter. 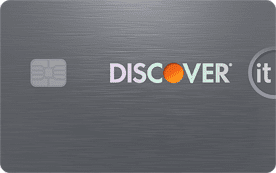 Plus, enjoy Discover’s unique Cash Back Match signup bonus that matches all the cash back you earn in your first year, automatically. Although this card is for students, its rewards can still compete in the general consumer credit card space. Cardholders can earn unlimited 1% cash back on every purchase, plus 5% cash back on purchases made in quarterly rotating bonus categories. Bonus cash back can be earned on up to $1,500 in eligible bonus category purchases each activated quarter. Although the internet is full of stories of people being approved for credit cards despite not meeting the typical requirements, “apply and hope” is not a good credit-building strategy. One of the only ways to improve your chances of being approved for a card that generally requires at least good credit is to use a cosigner who has a high credit score and solid history. Only a handful of major issuers accept cosigners, however, so your options may be a little limited. This no-annual-fee card is a good choice for purchases that don’t fit neatly into common bonus categories, as it offers 1.5% cash back on all net new purchases. New cardholders can also enjoy 1.8% cash back on qualified mobile wallet purchases for the first year. Most cards with this many triple-point bonus categories would charge you a fee for the privilege, but here’s an option for 3X points on dining and travel, including delivery and gas. Users can also earn triple points on select streaming services and unlimited 1X point per dollar on all other purchases. This rewards card is a good choice for everyday use, offering unlimited 1% cash back on all purchases, plus 2% cash back at grocery stores and wholesale clubs, and 3% cash back on a bonus category of your choice. Bonus rewards are limited to the first $2,500 in combined category purchasers each year, but the card has no annual fee. College can be a great time to think about establishing your credit, and student credit cards are a big part of why. Issuers know that you’re likely to hold onto your first credit cards for years, so they’ll work to make sure your first card sports their logo. As you’d expect of a card designed for young people, student cards have broad credit requirements and won’t discount you for lack of credit history. The best student cards also charge no annual fee and offer decent purchase rewards so you can earn while you learn. With this card, cardholders can earn 5% cash back on up to $1,500 in bonus category purchases each activated quarter. Categories rotate quarterly and include a number of useful buys like grocery purchases and Amazon.com. This card even comes with an intro APR offer for interest-free new purchases. Built with everyday savings in mind, this student credit card offers 2% cash back on up to $1,000 in restaurant and gas purchases each quarter, no activation required, plus unlimited 1% cash back on everything else. 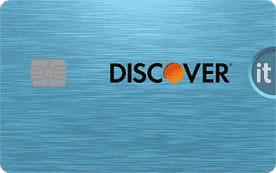 Like all Discover cards, it also comes with the issuer’s famous Cash Back Match. The Citi Rewards+℠ Card for College Students has a strong one-two punch with double ThankYou® points on both supermarket and gas station purchases, making it perfect for everyday spending. You’ll also earn more on small purchases, as the rewards for each purchase are rounded up to the nearest 10X points. Not only does this student credit card offer useful purchase rewards, but it also comes with a small signup bonus with an easy-to-obtain spending requirement, as well as an intro APR offer good for 0% interest on new purchases. Although your business can establish and build its own credit, your personal credit will be what lenders look at until your company’s credit history can stand on its own. If both you and your business are a little limited on credit history, then your options will be equally limited. Your best bet may be a secured business credit card that can help your business build history (and a consumer card so you can build your history, too). This is an ideal starter business credit card, offering flexible credit requirements, no annual fee, and unlimited cash back on every purchase. You’ll also receive employee cards at no extra cost, as well as quarterly and yearly itemized spending reports. 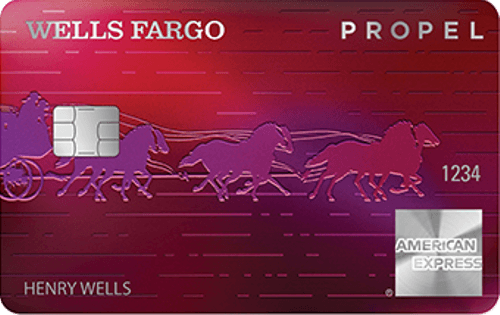 The Wells Fargo Business Secured Credit Card offers unlimited cash back rewards on every purchase and up to 10 free employee cards. The minimum deposit amount is $500, though you can deposit up to $25,000. Your credit limit will depend on the size of your deposit. 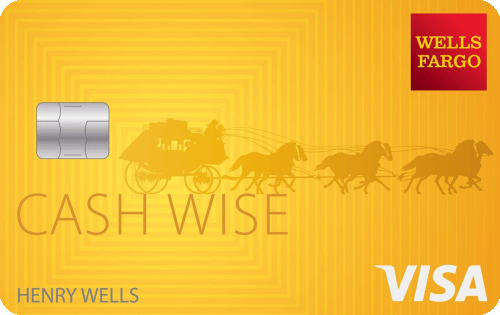 Wells Fargo will periodically review your credit card account and credit history for improvement. Some cardholders may be automatically upgraded to an unsecured credit card at the bank’s discretion. The BBVA Secured Visa® Business Credit Card requires a minimum deposit of at least $500 to open and maintain, but there’s no annual fee the first year. Plus, earn unlimited rewards on every purchase. The card’s credit limit will equal 90% of the deposit amount. There is no charge for additional employee cards, and each cardholder can earn purchase rewards. This card is only available to applicants in Alabama, Florida, Texas, Arizona, Colorado, California, and New Mexico. Thanks to generally lower limits and closed-loop restrictions on where you can use them, store credit cards can be a good place to start when you have no or limited credit. They’re typically fairly easy to qualify for and rarely charge annual fees. At the same time, many store cards can only be used to make purchases and earn rewards with the specific brand. And they tend to have fairly high APRs. But, when used responsibly, store cards for brands you shop frequently can be a valuable addition to your wallet. The Target REDcard isn’t your typical rewards card; instead of earning points or cash back, cardholders get a 5% discount on all eligible items, right at the register or checkout screen. The Amazon.com Store Card is best for cardholders who are also Amazon Prime members, as members earn 5% on Amazon.com purchases made with their card. All cardholders can access the card’s special financing on purchases of $149 or more, but keep in mind that the card uses deferred interest. So, if you fail to repay any amount of your promotional balance, you’ll be charged interest on the entire amount. The Old Navy Credit Card gives users 5X points per dollar on Old Navy and Gap Inc.-branded purchases made with their card. Since 500 points earn a $5 certificate, this results in a 5% return on card purchases. This card — and the certificates you earn from its rewards — can only be used at Old Navy and other Gap Inc. brands. Rewards are capped at $250 per billing cycle, and rewards earned beyond the monthly cap will be rolled over into the next billing cycle. How Do You Establish a Credit History? Although it may have once been the case, few modern lenders are willing to offer up thousands of dollars worth of credit simply because you asked nicely. Furthermore, more and more parties — including potential landlords and employers — are now relying on your credit report to gauge your financial responsibility. As a result, establishing and building a positive credit history has become more important than ever before. On the bright side, building credit has also become easier than ever, especially in the era of the online application. Financial accounts that aren’t associated with credit, such as checking, savings, or debit card accounts, won’t help you establish credit. Similarly, you can’t use a prepaid card — even one with a major network logo — to establish or build credit. In most cases, simply being an authorized user, cosigner, or co-applicant will result in the account being reported to the credit bureaus under your name. This can be helpful for getting a credit head start, as many credit card issuers have no minimum age to become an authorized user. While the majority of credit accounts will report to the major credit bureaus and help you establish credit, some common bills aren’t technically credit accounts. This includes most rental agreements and utilities accounts, as well as some types of in-store financing. That being said, this may be changing in the somewhat-near future; it’s becoming increasingly common for creditors to look toward alternative reporting data to help gauge the credit risk of consumers who otherwise have no or thin credit files. In fact, the problem is as much about encouraging lenders to use the data as it is about getting the data in the first place. The latest FICO Score 9 includes reported rental history, for instance, but only a small fraction of landlords report rental history to the bureaus. Once you have opened a credit account that reports to the credit bureaus, each bureau will establish a credit report in your name, giving you a total of three main credit reports. Although you only need one or two months of payment history to establish a credit report, however, it takes at least six months of history for you to become eligible for a credit score, as most scoring models rely on data over time to calculate your scores. As important as it is to establish your credit history, you can’t simply stop there — now it’s time to build your credit history and boost your credit scores. Contrary to what we may like to believe, no one starts out with perfect credit. In fact, you technically start out with bad credit, as your initial credit score will likely be in the 500 to 600 FICO Score range. This makes it important to not just establish your credit, but to work on building it — the right way. While there are dozens of various credit scoring models in use, the hallmarks of a healthy credit history remain the same regardless of the specific way it’s calculated. In general, high credit scores are indicative or good credit, and low credit scores indicate bad credit. The best way to keep track of your credit-building progress is to periodically check your credit scores and reports. At the very least, be sure to check all three credit reports annually for mistakes or reporting errors. You can get one free copy of each report annual through AnnualCreditReport.com. As an easy industry standard, many experts rely on the five mains coring factors laid out by FICO, the most commonly used credit scoring agency. You can use these factors to evaluate your credit health and to inform your credit-building goals. The primary concern of any creditor is whether you’ll repay what you borrow. As a result, the most important factor in your credit score calculations — worth 35% of your score — will be your payment history. As such a significant part of your credit score, hurting your payment history can cause a lot of damage to your credit score. Even a single delinquent payment can cause you to lose dozens of credit score points, so be sure to always pay on time. Keep in mind that not every late payment will mean an automatic drop in your credit score. Being late by a few days or a couple of weeks can get you a late fee, but usually only accounts that are 30 days past due can be reported as delinquent. Maintaining a positive payment history is fairly easy so long as you are careful to not take on more debt than you can reasonably repay. If, at any point, you feel you may fall behind or miss a payment, contact your creditor immediately to work out a repayment plan. Another aspect of determining whether you’ll repay a given debt is to look at your existing debts. The amounts owed factor considers how much debt you owe in total, as well as the individual debt-to-value (DTV) ratios for each type of debt. For example, if you have a mortgage, an auto loan, and two credit cards, scoring models will look at the total amount of debt across all of your accounts. However, the models will also factor in that you’ve repaid a quarter of your mortgage and half of the auto loan. Additionally, your revolving credit lines — e.g., credit cards — are evaluated in terms of the utilization rate, or how much credit you’re using versus how much you have available. This will apply to all of your revolving accounts together, as well as the individual utilization rates, as in the example in the chart below. A high utilization rate (i.e., credit cards that have balance close to their limits) can negatively impact your credit scores, as is taken as a sign that you may be having financial problems that prevent you from paying down your balances. As far as most lenders are concerned, the longer you’ve responsibly managed credit, the more likely you are to continue to do so in the future. So, credit history length is worth a fairly large 15% of your credit score. Since only time can add length to your credit history, the only thing you can really do to impact this factor is to establish credit early and avoid closing old accounts. In the eyes of most creditors, consumers who open several new credit accounts in too short a time are less likely to repay their debts. This makes your new accounts an important consideration when evaluating your credit risk. This factor looks at both the number of new accounts, as well as hard credit inquiries, which are added to your reports each time a potential lender runs a credit check in response to an application for credit. The soft credit inquiries that result from a credit check that is part of a background or employer screening, or from checking your own credit, won’t hurt your score. 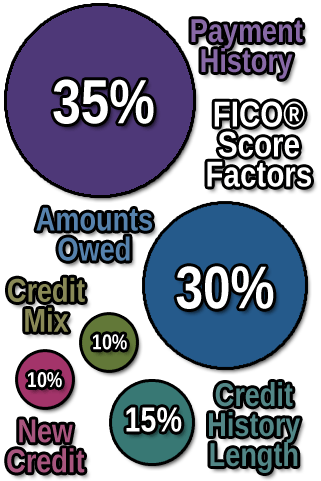 The last main factor of credit scoring is the types of credit you have, or your credit mix. Creditors like to see that you have experience responsibly handling various types of debt, including both installment and revolving credit lines. How Do You Use a Credit Card? Although not always thought of as a loan, credit cards represent a line of credit extended to you by the issuing bank. Each time you use a credit card to make a purchase, the funds for that purchase are, essentially, lent to you by the bank, with the expectation that you’ll repay the funds by the due date. The physical credit card you carry — or, more precisely, the card number and associated account data — is what tells the merchant where to send the bill. To use your credit card to make a purchase, you’ll need to provide the merchant with the necessary information, though the method will vary based on how you make your purchase. For most in-store purchases, merchants use a dedicated credit card machine to read your card. Older machines that rely solely on increasingly outdated magnetic stripe technology require that you slide the card through the machine, which reads your account data from the stripe. More recently, the EMV chip has become the new standard. These small microchips are embedded in your credit card and help prevent card fraud by encrypting your account data. To use a chip credit card, simply insert the card — typically chip end first — into the machine and wait for authorization. These days, most smaller transactions won’t require any sort of verification; you simply swipe or insert, and go. However, some merchants and larger transactions may require verification; in the US, verification is generally done through a signature, though other countries use four-digit PIN codes. Other purchase types may use different forms of verification. For example, gas purchases made at the pump usually require you to enter your ZIP code, while online purchases may ask for your CVV number (the three-digit number — four digits for Amex — on the front of your card or near the signature box on the back). Your credit card’s CVV (Card Verification Value) number is used as a security measure for online purchases. The number is typically three or four digits and its location will vary by card. Each purchase you make with your credit card will be posted to your credit card account statement, along with information such as the location of the purchase and the merchant name. Transactions are grouped by date, known as the statement period or billing cycle, which is typically around four weeks long. At the end of each statement period, you’ll be issued a transaction statement that summarizes all of the transactions you made that cycle. It will also indicate your total balance, when your bill is due, the minimum payment you must make, and the interest you will be charged if you fail to repay the full balance before the due date. Most credit cards offer a new purchase grace period, during which time you won’t be charged interest if your balance is paid in full. The grace period typically extends from the end of your statement period to the due date of the bill for that statement. Of course, while most transactions you make with your credit card will be new purchases, there are other transaction types. For example, a balance transfer is when you move a balance from one card to another card; balance transfers don’t qualify for a grace period and start accruing interest immediately. Another common type of credit card transaction is a cash advance, which is when you use your credit card at an ATM or bank window to withdraw cash. Cash advances don’t qualify for the grace period, either, and they also tend to come with fees and higher APRs. It’s important to know which types of transactions count as balance transfers and cash advances, as it may not always be clear. Some cash-equivalent transactions, such as buying lottery tickets or money orders with your credit card, actually count as cash advances, which can get expensive. How Do You Pay a Credit Card Bill? While it can sometimes feel like free money while we’re swiping away without a care, credit card purchases are most definitely not free. Not only are you expected to repay the funds you borrowed, but not doing so within the grace period will mean paying interest fees on top of your purchases. In general, you’ll need to make monthly payments on your credit cards, meeting at least the minimum payment required each month. Ideally, of course, you want to pay off your entire balance each statement cycle to avoid interest fees. 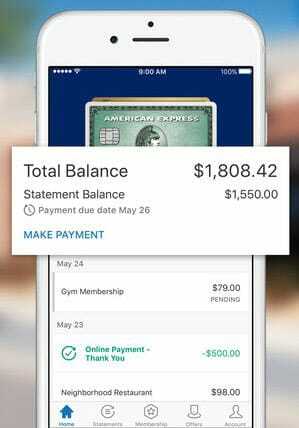 Most credit card issuers offer convenient mobile apps that can be used to track purchases and pay your bill. Most credit card bills can be paid by check through the mail or with a direct transfer from your bank account. Some credit cards may allow in-store or in-branch payments, but you should check with your issuer to be sure. These days, the simplest way to pay your credit card is to link a checking or savings account to your online credit card account. Then, you can pay your credit card straight from your account through your desktop browser or the bank’s mobile application. Many online banking platforms allow you to set up automatic payments, which will pay your bill each month and help ensure you never miss a due date. If you prefer a more manual approach, you can schedule credit card payments for specific dates so you know just when the bill will be paid. Note that you can’t pay one credit card bill with another credit card, at least not directly. The closest you can generally get is to perform a balance transfer, which moves your balance from one credit card to another card. Balance transfers can be good tools, but they tend to come with pricey fees. Depending on where you’re trying to go, lacking proper accouterments — such as shoes or a shirt — can cause you to be turned away at the door. Similarly, while lacking a credit history won’t typically get the bank’s door closed in your face, it will often cause the metaphorical door to be closed on getting a loan. What’s more, building credit is becoming increasingly less optional. Using cash for every purchase was once a matter of course, but today’s world just doesn’t operate that way. Whether you need a home loan to purchase a house or a credit card to make secure online purchases, building credit is a virtual necessity these days.